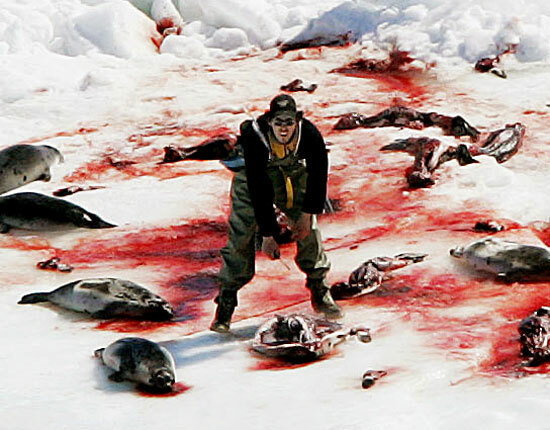 Each year , the Canadian government allows hunters to kill over 250,000 defenseless baby harp seals. During the slaughter, baby seals are shot or repeatedly clubbed. 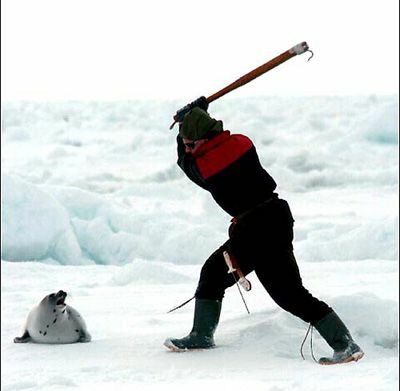 Sealers bludgeon the animals with clubs and “hakapiks” (metal-hook–tipped clubs) and drag the seals who are often still conscious across the ice floes with boat hooks. The hunters toss the dead and dying seals into piles and leave their carcasses to rot on the ice floes because there is no market for seal meat. Numerous veterinarians who have investigated this annual slaughter have found that the hunters routinely fail to comply with Canada’s animal welfare standards. Baby seals are helpless and have no way to escape from the sealer’s clubs. A Washington Post article on the seal slaughter described it this way: “a seal appearing to gasp for air, blood running from its nose as it lies in an ice floe. not far way, a sealer sharpens his knife blade. The seal seems to be thrashing as its fur is sliced from it’s torso. 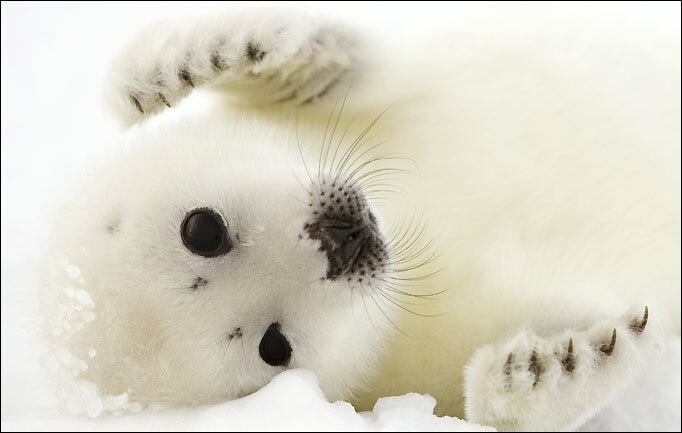 The sealing industry claims that is it killing more seals now because of an increased demand for fur. Although the United States banned the sale of seal fur in 1972, people still wear the fur of minks, rabbits, foxes and by doing so create a demand for the killing of these animals. 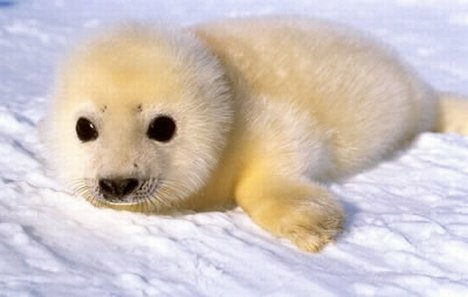 Such a demand pushes Canadian hunters to club more baby seals each year. However in 2009, the European Union voted to end the sale of all seal products and the United States Senate passed U.S. Senate Resolution 84, calling for an immediate end to the annual seal slaughter. Why does this senseless killing of seal pups continue? The fur coat industry is dying. There is no long er a great demand for woman to wear a white baby seal coat as there once was in the early and mid 20th century. The amount of money that can be generated through Eco-tourism to photograph live and adorable baby seals on the ice can far exceed by killing these defenseless animals. Million of dollars can be shared by tourism operators, boat captains & crew, hotels, restaurant and shop owners on the nearby islands where the tours can be based. What would you and your children rather see?